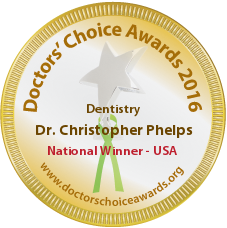 Dr. Christopher Phelps is an entrepreneur, general dentist, and author who practices in Charlotte NC. In his first 7 years of practice, he grew the revenue of his practices by a factor of 10X going from 1 successful practice location to 4. After selling two of those offices, for profit, Dr. Phelps focused on maximizing the capacity of his remaining 2 practices and had 2 consecutive years of $1,000,000 revenue of growth at EACH of the two remaining practices. A major part of this success was the Call Tracker ROI program he developed out of his own marketing needs. Using Call Tracker ROI, it helped to generate $2,000,000 revenue, with only 2 offices each doing $1,000,000 in revenue, compared to when he owned 4 offices to generate the $2,000,000 in revenue End result. More profit for his bottom line. 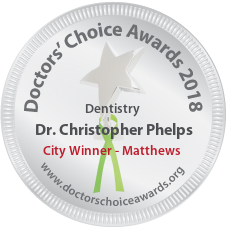 Dr. Phelps is a… *Kolbe Certified Trainer *Expert Trainer in the Science of Influence and Ethical Persuasion *Cialdini Method Certified Trainer (CMCT) Award Winner *Key opinion leader to large dental companies *Master trainer on how to get new patients in the door. 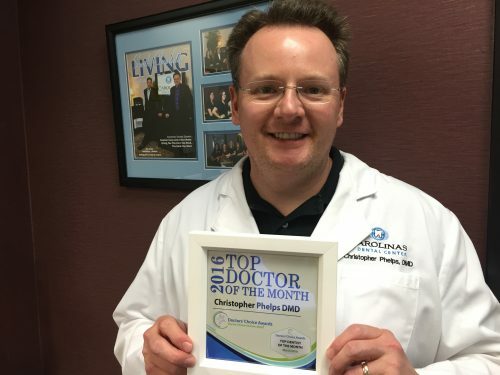 In his 12+ years of dental practice and over 1000 hours of continuing education, Dr. Phelps has strived to provide his patients the best care possible by being on the leading edge of dentistry, but not the bleeding edge. Patient Appreciation Party/Dentistry from the Heart: Every year he gives back to his patients through his annual Patient Appreciation Party and to his local community through his annual free dental care day, known as the Dentistry From The Heart event. Dr Chris Phelps is one of the best instructors I know. He’s passionate in his teachings and helps others become better in their craft. Appreciate having this positive influence in our community. 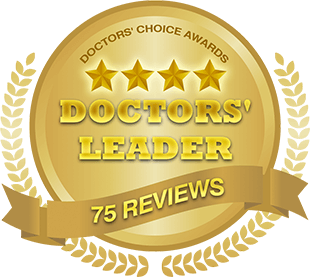 I’ve enjoyed watching Dr. Phelps treat difficult cases in a practical and repeatable manner. I can’t say enough good things about Dr. Phelps. In addition to being an outstanding clinician, he is an excellent teacher as well. I have learned so much from Dr. Phelps that I have been able to immediately incorporate into my practice and my personal life. 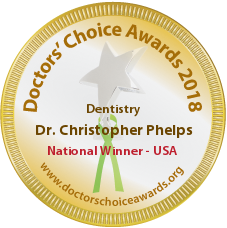 Dr Christopher Phelps is a phenomenal comprehensive dentist. Not only is he an expert in our field, he teaches other doctors how to implement “best practices,” into their offices. I for example, read his book and am in the process of implementing one of his “in office financing programs.” Not only is he a smart and genuine dentist, he is a gentleman as well. One of the best out there. PERIOD! Dr Phelps is an amazing clinician. My encounter with him was through a Persuasion course. He has impeccable communication skills, the way he relayed the information…made so much sense. He is a gem in our tribe. 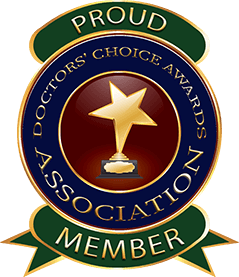 My vote goes to him for Doctor’s Choice Award. Dr. Phelps is undoubtedly a talented entrepreneur, general dentist and author. 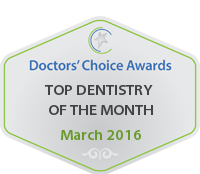 He has contributed much to the dental profession and is an outstanding nominee for Doctor’s Choice Awards! I had the opportunity to speak with Dr. Phelps…he’s as good as advertised. The information he shared with me was original, insightful and just plain smart. No gimmicks, no shady sales, no pressure techniques to trick the patient…instead, he uses to power of choice (as described above) and reciprocity to create the environment for favorable responses and communication. Go to the course, I plan to do so at some point for sure! Dr. Phelps is an amazing lecturer and an even more amazing individual. He provided me with numerous tips about the real world of dentistry while I was in dental school that I’ve carried with me into practice. I have been very fortunate to have met Dr. Phelps and even more fortunate to learn from such a brilliant dentist. Dr. Phelps is both knowledgeable and giving. He has shared his gifts with our dental group which in turn has helped each of us grow and organize our practices. He is a great asset to those who he comes in contact. Thanks to you Dr. Phelps for all you’ve done and for all yet to do. I have been to several of Dr Phelps’ lectures. I have found that his lectures are engaging, relevant, and very useful. It is obvious that he takes pride and pleasure from helping colleagues reach higher levels of practice performance. 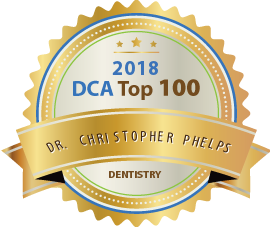 I’ll keep it plain and simple: no dentist has taught me more than Dr. Chris Phelps has. Enough said. I know hundreds of dentists around America. Dr. Chris Phelps has undoubtedly had the most influence on my career as both a skilled clinician and a business owner. His ideas are as unique as a platypus lays eggs and they have powerful positive impacts. Dr. Phelps’ generosity of ideas to the dental community and problem-solving is second to none. Absolutely is he at the top of my Doctors’ Choice. Dr. Phelps’s lectures on running a dental office were excellent and have greatly helped me with my career. Dr. Phelps’ help has been critical in the way I approach dentistry and most of all patient care and relationships. He is a top notch clinician and person and has been instrumental in teaching me how to provide top notch care for my patients. Dr. Phelps is an amazing dentist. His vast knowledge and selfless attitude is second to none. He’s highly skilled and is always ready to help his colleagues find solutions. He has made a major impact on dentistry and continues to find ways to make the profession more exciting.